It’s time to enter the Paradox! 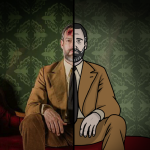 As mentioned in the Kickstarter campaign: we always felt that a movie would fit the Rusty Lake universe. But to come from this idea to a finished project is a lot of hard work by a lot of talented people. Luckily it was a challenge that Sean van Leijenhorst, the director of the film, and the guys from The LAB, Producers Steve and Martin grabbed with both hands. And wow we couldn’t be happier how they translated the world of Rusty Lake to the big screen! The shooting days were an amazing rollercoaster ride which we will never forget. From the incredible performance from our Dale Vandermeer (David Bowles) and Laura (Elena Kejvalová) to Sean van Leijenhorst and Cédric Larvoire making sure every shot was perfect, we knew we were making something very special together. The list of people from the movie crew we want to thank is too long for now but we will soon share a blog about the whole movie process, alongside an awesome making-of video! Feel free to check out our IMDB page in the meantime: https://www.imdb.com/title/tt8371922/ and leave a rating! Moreover we want to thank all our Kickstarter backers who made this project possible! We were overwhelmed with your guys support – reaching our goal in less than 9 hours was a huge motivation for everyone involved. Because of your support we can provide the film and most of the game content for free, but also compensate all the hard work this amazing and passionate movie crew has put into the film. Thanks again – we will start fulfilling the physical rewards as soon as the hectic days around the release is over. We also couldn’t do without our freelancers! Johan Scherft who made two amazing paintings that play a huge role in both movie and game (the poster is coming). Bob Rafferty who of course had to do the voice-over of Mr. Crow – his voice gave us big chills during the private premiere Prague. And of course Victor Butzelaar – who made the immersive soundtrack (check his bandcamp) for both the movie & game. The last couple of weeks we had a lot of help from our translators – these incredible people helped translating our games since Birthday and since then they keep supporting us. It means a lot to have such people around us. The same counts for you: all our fans who keep sending us fan art, the most incredible cosplay photo’s & touching comments. After 3 years of making Rusty Lake and Cube Escape games, this is what us keep us going extending the universe with new content. Ps. Did you make the right choice? We think both ways will work since it is a matching experience! Ps2. We really really appreciate your feedback, please leave a review in the stores and a comment under the film. Ps3. A lot of times we receive emails for glitches, make sure to check out the walkthrough first, if doesn’t match email us with the issue, reset the level and try again. Ps4. Let us know if you found all secret achievements! Guys you are so great! I love every game of you and the art how you designed the levels and the whole world of rusty lake. Please never stop making these kind of games. I started with Paradox today and now I cannot stop playing it. Thanks for that treasure of games! I’ve already spent hours trying to figure this out, and I’m having so much fun! I took a peak at the walk-throughs and I’m not even halfway done! Absolutely great job!!! We’ve been waiting this for so long…I don’t know what others think but I loved the game/movie too much. There is a bug…I’m turning Laura ‘s faces as her eyes tell me for hours. Please fix it!!!! I can’t go ahead!!! Hi, You must follow Laura’s eye direction. I know its hard, i played 9 hours for the all achievement in steam XD. What i have to do to purchase chapter 2? ¿Cómo puedo comprar la segunda parte? Please don’t make Paradox the final game!!! Keep making games (and movies, maybe)! I meet two bug causing that I have to replay this game. The first bug is that the paper which should give a gold key to me had no change when I paint the key. Genius! With the film too – brilliant! I love these Rusty Lake / Cube games. You can’t make & release them fast enough. Hotel & Roots still my favourite, though. I love the fun/freakiness of them. I now have my daughter and sister hooked on them. The only negative for Paradox is that it didn’t take long to do but it was a bargain price (part 1 being free). Hey, guys. Thank you for your game. I bought chapter two. I accidentally uninstall the app, and when I reinstall it, I am asked to buy chapter two again. Any way to fix this bug? OK, thanks Harvey! Problem solved! It’s so amazing !!! （The film is exactly the same as the game in details ! ）I’ve been finished Paradox , got 11 achievements (5 at chapter 1 , 5 at chapter 2 , and the secret video for green vial) , finished the Charpter 2 Achievement contest just now . And now I’m looking for the blue vial . I just want to say THANK YOU ! ! ! They’re the most mysterious adventure games I’ve been played ! ! ! I’ll support Rusty Lake all the time ! ! ! Thanks for making & developing this amazing game. I fell in love with the cube escape series that have great storyline and full of mystery than any other games. I’ve been waiting for the Paradox to be launched. Now I’ve just got full achievement and it was really challenging! Also the movie was really outstanding. I could see every details of the scenes that plays an important part when playing Paradox. Again, thank you all for making this piece of Art- you guys and the people who are working on are truly amzing! Please keep it up!! Hello! I’m from south korea. I played whole rusty lake and cube escape game and also this time. I have been waiting for paradox so long, and i was so impressed for paradox game and movie. I think it is okay to increase the game price! the quality of your game is deserve to do that. Thanks for impressing game and movie, I will wait for next one happily! Hi guys, loved chapter 1 but can’t seem to get chapter 2, it keeps asking me to purchase, and I have bought it once! Arrrrgggghhhh! Please help! Thank you for The Paradox, it’s awesome! I’ve just finished both chapters with achievements and still deaply impressed. Will it be continued? LOVEEEEE the game and it just works so perfectly turning rusty lake into a film! It’s brilliant, love that after i got all the achievements I got a secret ending too, made it special and of course very clever!! Thank you for developing this amazing game! I have finished both chapters. Can’t wait for next cube escape game! Brilliant game, waited so long for this! Im stuck though and checked the walkthrough but i still cant light the coffee pot in chapter 2 with the cigar? Ive put the ground coffee in and the water and it still doesnt light! can anyone help?? Hey guys…there’s a bug with bugs (funny tho,lol) Chapter 2 ,the brain. The dots are stuck sometimes. I am playing on an iPad mini 4, iO 11.4.1 and I am stuck at the map. I think there is a bug. When I click on the magnifier, the first scene is “Start.” I draw the line, click magnifier again and get “End.” If I click the magnifier again, I get the bow of the boat pointing toward mountains. Can you fix this? Or tell me what I am doing wrong? Spectacular game and movie- I already know not to expect anything less from Rusty Lake! I am such a huge fan of this universe, and hope to see more in the future. All achievements found by the way! Thank you so much for creating this creepy and wonderful world for everyone to enjoy! Just wanted to congratulate you about Paradox : the game and movie are just brillant! 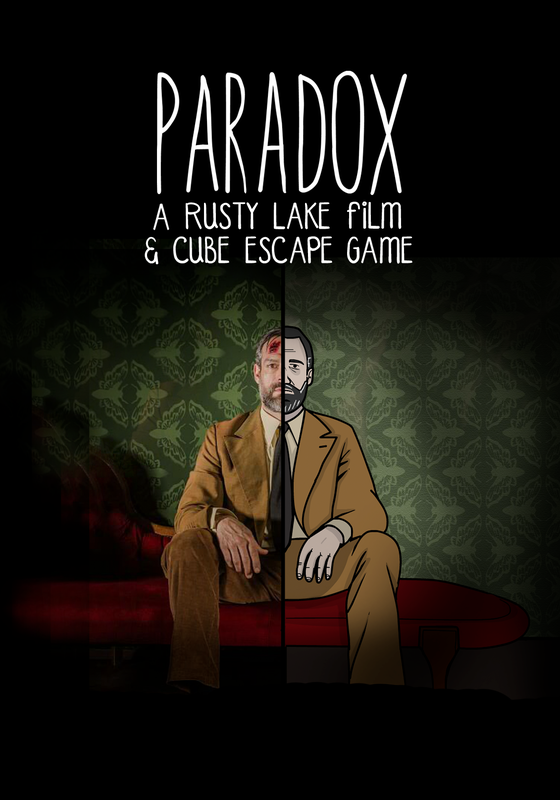 It’s hard for me to pick my favorite episode of cube escape, but i must say that Paradox is one of your very best game. The part 2 is just excellent, i love the brains thing, it’s so intelligent(lol)!! And the references to the others Cube Escape was great, and gives a melancholic touch to the story. I know that this must be the last episode of the serie…but please do some more!! You really did a wondeful job, with all your team. Congrats to all of you!! I loved to particpate again at your new projects. Can’t wait to have my poster! Much love from France to you guys and your team : thank you for doing that kind of game, smart, intelligent, poetic, aesthetic, full of references but with originality!! Great, great, great!!! OMG I’m really excited for the movie and mostly fot the game!! I’ll certainly buy the second chapter ! Way too difficult this time to be fun…sorry guys. I found that Dale said “LOBSTER DONKEY” in channel 551. I’m trying to purchase Chapter 2 and can’t. I’m using an iphone 6S, and when I’m at the main oage andckick the chapter 2 door, then click “purchase,” nothing happens. I’ve also tried “restore” and finding it in the App Store. Please help! I played paradox and iT was a great time! Please keep om going and make much more of this amazing Nice adventure-Puzzle games! Looking foreward! Thanks van een grote fan uit Amsterdam! Like julie gwin, I’m trying to buy Chapter 2 and nothing happens when I click on Purchase. Can you help us? I’m on iOS too. Merci. Never seen any work that combines game&movie that well! Is this the final chapter of cube escape serie? Brain cube question.. I tipped the water glass, and emptied the water by mistake. Now I can’t ge the glass to stand up so i can dump the water again. Help and thanks!! I got completely hooked on these games and LOVE the subtle (and not so subtle) nod to Twin Peaks. I had almost as much fun playing [all] the games and finding all the achievements as I did stumbling upon all the Twin Peaks references. I ended up playing every single rusty lake game and now I’m left itching for more. Thanks for the new game, great job. Hi Hendrik, you need to go the present mind (take your brain out) in order to see the hand again. Like some of these people I too am having an issue buying episode 2. Im on a 6s and nothing happens when I click the purchase button. This stinks because I absolutely loved the first chapter and the Rusty Lake series in general. Any help would be appreciated. Boy is their egg on my face. All I had to do to fix the app problem was to turn on In-app purchases. Absolute joy to play and I so want to make my own memory cube mini room now. The detailing you have done and direction of the movie is better than most multi-million dollar movies these days. You guys really made Mr. Crow so sinister and the costuming was superb. You guys picked the perfect Dale and Laura. But now I am so shipping these two, sorry Bob. The only thing I really wish you guys would stop is the time sensitive puzzles (AKA brain bug puzzle). @Harvey Thank you! I found out by now, should have trusted the Rusty Lake Team … now I’m stuck elsewhere, but I’ll find out. Is there any way to reset the puzzle without resetting the entire game? Love the game, by the way! Thank you. Will there ever be an explanation on why he has that injury on his head in any games upcoming or any new short film? Hi I can’t seem to purchase chapter 2 at all. I click on the purchase button but it just goes back to the main screen. Hi again I fixed the problem but now it lets me sign into my Apple account but it still won’t let me purchase chapter 2. Please help. I really loved the first one! Trying to purchase Chapter 2 for iPad but am stuck. Clicking Restore gave me one chance to put in my password, but nothing happened after that. I see from the comments above I’m not alone. Very frustrated! Sorry for this issue! We made an update which is hopefully available tomorrow! I know you must get a million comments like mine but I LOVE YOUR GAMES. They have a surprisingly high replay value too as I keep replaying and replaying the games and they’re still satisfying.